© Annette Edgar. All rights reserved. 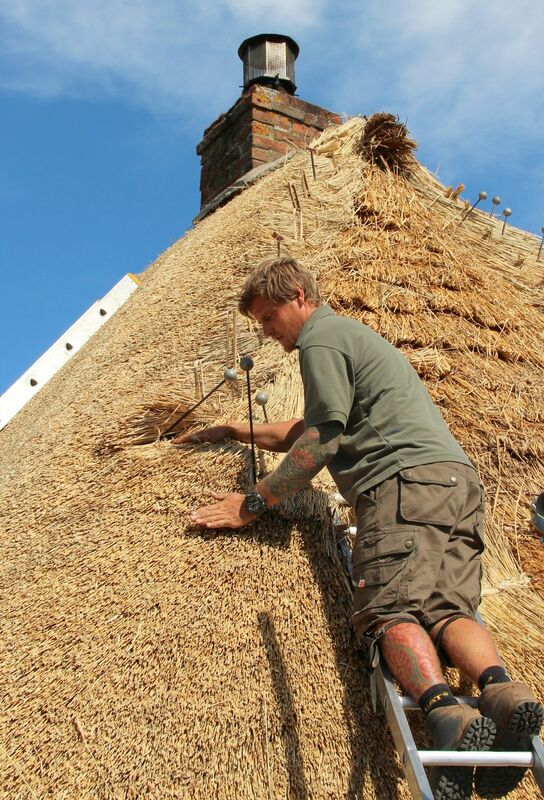 Up on the roof, Lincolnshire’s only Master Thatcher at work on a listed old post office building, rethatching the roof. Date Uploaded: Nov. 3, 2017, 3:01 p.m.